Europe’s premier destination music festival is returning for yet another weeklong trek. 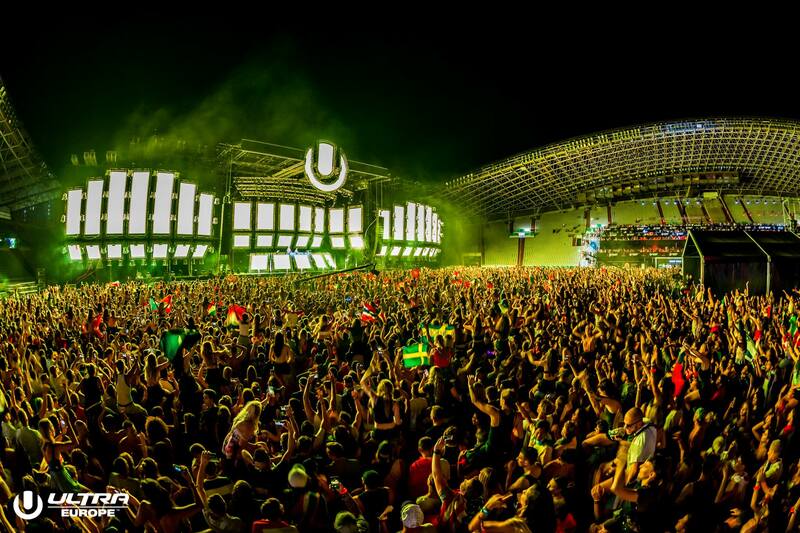 ULTRA Europe 2019 will bring fans from across the globe starting July 11 and jamming through July 17, 2019. Spread across four islands and the mainland, the jam-packed week kicks off with Destination ULTRA Opening Party at Hemingway, Split. Hosting day one of the tour, Hemingway is projected to give fans a world-class house and techno lineup. Continuing on to the Poljud Stadium, three days of ULTRA Europe 2019 will return for a seventh year running on the Dalmatian coast. This portion of the tour brings over 120,000 attendees. Music lovers from all over the world will gather and dance together to the sounds of the highest quality electronic acts on the planet. July 15 of 2019 takes us to Brač Regatta at 585 Club on Zlatni Rat Beach. Located on the picturesque island of Brac, 5,000 Ultranauts will descend to the notoriously sold out event known as ULTRA Beach Hyarat. Home to one of the biggest pool parties on the continent, Hotel Amfora Grand Beach Resort will be one stop you won’t want to miss. The setting we already know will be perfect and beautiful, as for the line-up, we can only expect a star-studded collection of the most talented and famous electronic acts. The melodic sounds of the music and the ocean will be sure to keep fans dancing throughout the evening. As the sun sets we shift gears to RESISTANCE Hvar just a boat ride away where Ultranauts will take over Carpe Diem Beach Club on the world famous Pakleni Islands. If the week has yet to satisfy your music thirst, the idyllic island of Vis, and historic location of Fort George, will host RESISTANCE Vis, a house and techno master class to cap off this huge destination ULTRA week. For those who can’t pick just one event, ULTRA Europe 2019 is offering a ticket to all the events during the Destination ULTRA week. Priced at €349 the ticket will grant access to the Opening Party, the flagship ULTRA music festival Europe, the Regatta, ULTRA Beach Hvar, RESISTANCE Hvar and RESISTANCE Vis. Pack your dancing shoes and grab your tickets at UltraEurope.com, this is going to be huge.